The idea is to focus on the creative process, and remaining open, rather than concerned with the final product. This is very much in the spirit of play and the Surrealist games tradition. 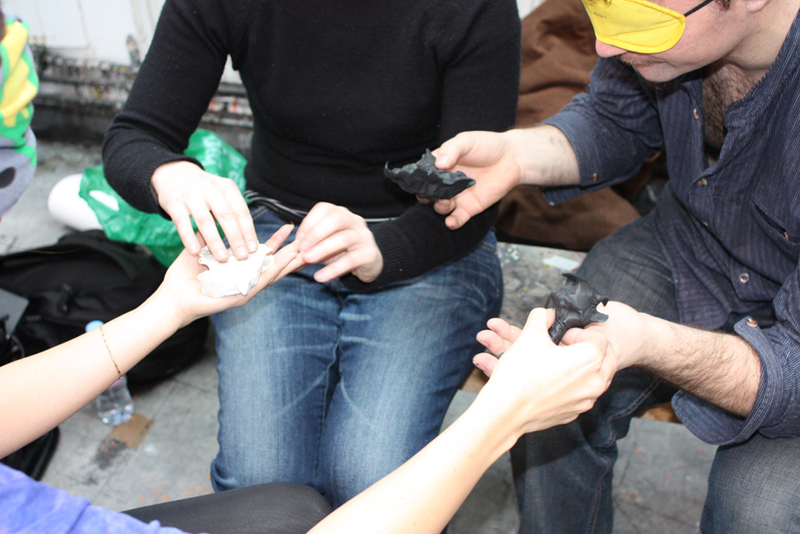 In the longer term, the workshops should serve as a space where creative individuals can explore their ideas, and initiate collaborations within the loose framework of Sensory Sites. The next workshop will take place on Saturday 17th December, in Northwest London, Kensal Green, between 11.30 -2.30pm.